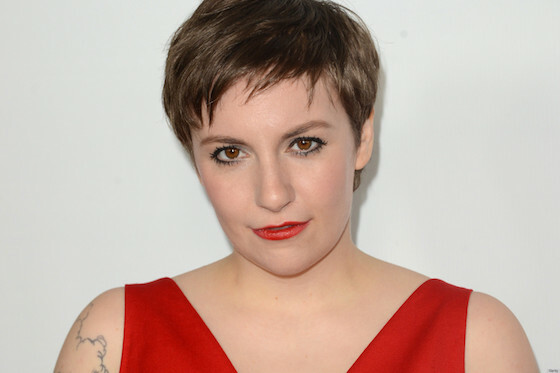 Lena Dunham has had to make a number of public apologies for embarrassing gaffes since shooting to stardom with her HBO series Girls, but the writer/actress is refusing to apologize for the latest controversy. This time, Dunham's dog Lamby is at the centre of the scandal. Brooklyn no-kill shelter BARC paired the pup up with his owner four years ago, and Dunham's followers frequently saw him make appearances in her Instagram and Twitter feeds before he mysteriously disappeared from the limelight last spring. Dunham explained that Lamby had been sent to rehab at the Zen Dog in Los Angeles, and then readopted by a trainer with experience dealing with troubled dogs — a move Dunham claims was necessary because Lamby "suffered terrible abuse as a pup." Now, a representative for BARC named Robert Vasquez has spoken to Yahoo, disputing Dunham's allegations as a fabrication. "When she adopted the dog from us, it wasn't crazy," he said. Vasquez went on to point out that it would be unusual for the dog to be cuddling up to Dunham, her mom and her boyfriend Jack Antonoff (as seen on Instagram and in magazines) if he had, in fact, been abused. In a New Yorker essay about her relationship with Lamby, Dunham also said that the dog had lived under "three other homes, three other names, but now he's mine mine mine." "We checked the records for Lamby," Vazquez continued. "He was 'owner surrendered, not enough time,' so we do not know where she got 'multiple owners that abused the dog.'" "If Lamby had a bad past or was abused, do you think BARC would have adopted him to Lena knowing she's a new star and put her — or the dog — in that situation?" he added. "We would have told her if the dog had issues. We are a no-kill shelter. We don't lie about the dogs' histories because that gets them returned — and mentally it's not good for dogs." And while critics, as always, have been quick to scrutinize Dunham's behaviour, she's not backing down with an apology this time. I hope those judging can imagine the incredible pain of letting go of your favorite creature on EARTH because you know you can't help them be healthy and happy. I would never say an unkind word about the staff of BARC, what they do is amazing and life saving for these animals- but we have different accounts of Lamby's behavior and they were not present in my home nor did they live with him for an extended period. They did not witness the consistent and responsible care I provided. I have weathered a lot of micro-scandals but this one hurts MOST, because of the vulnerability of letting people know Lamby and my story, and because I miss him so damn much. After adamantly declaring "I can't apologize," Dunham closes by stating: "I know I'm a lot of fun to place your issues on, but I won't let anyone hang their hat on this peg. Not this time." Read her complete response below. dogs who he now lives happily with. was a deeply hard decision. shoutout to everyone who has an opinion on this and didn't live with us the past 4 years!